Heat oil in a pan and add chopped onion, ginger, garlic and green chilly and saute well till light brown. Add chilli powder, turmeric powder and salt and saute well. Then add tomato, grated paneer and coriander leaves and mix well for 2 minutes. Remove from flame and keep it aside. Spread butter on one side of bread and place paneer keema on top of that, cover it with another bread slice and apply little butter on top of the bread. This makes for nice breakfast! I love it. 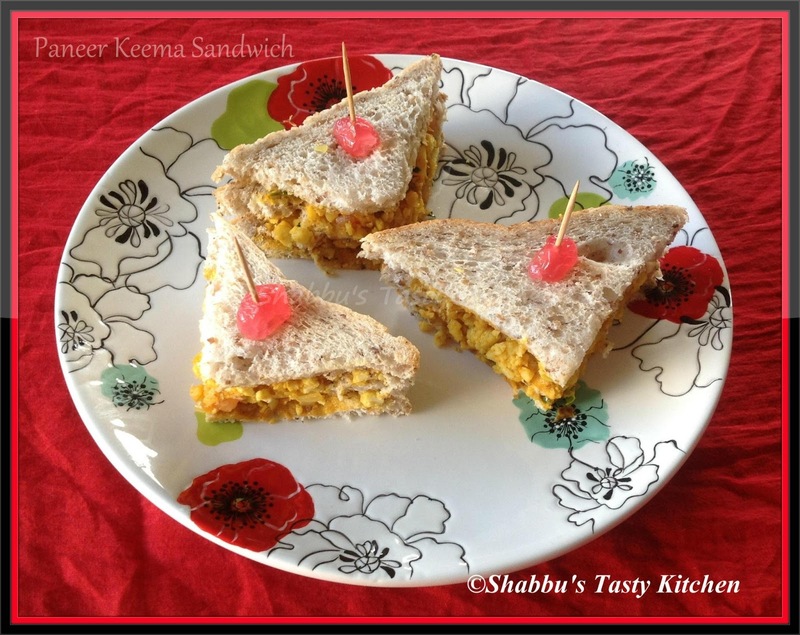 me too made sandwiches with crumbled paneer oftenly. It is super tasty, I know.